Halter worn at the Gentry’s Farms during retirement of the great Princess Rooney. Comes with COA from the famous Retirement Horse Rescue Charity, Canter. 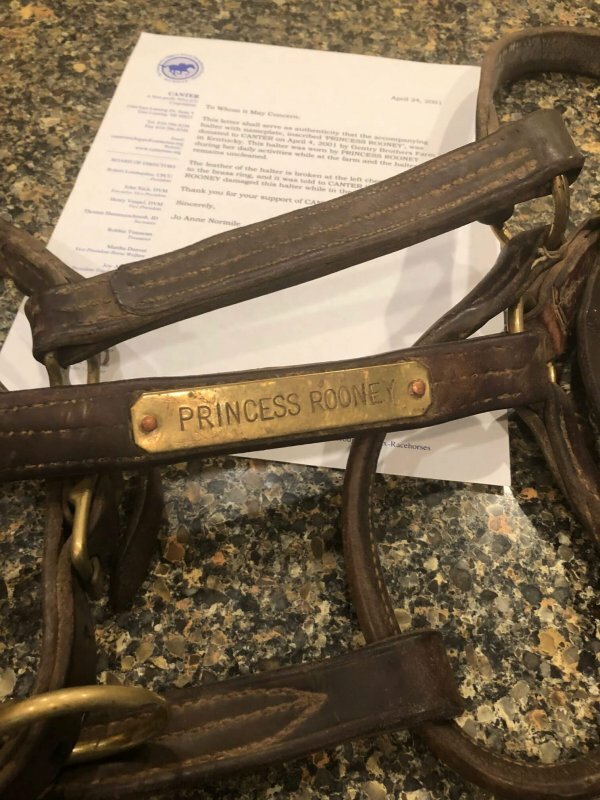 As described in the COA, halter was damaged by Princess Rooney during use.